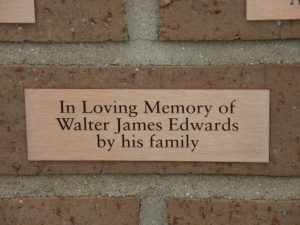 Create a lasting tribute to someone special by purchasing a Commemorative Tile in the N.C. Cancer Hospital. Looking for the perfect way to celebrate a joyful occasion or remember a loved one? Purchase a Commemorative Tile to memorialize someone you love, honor an outstanding achievement, or celebrate a birthday, anniversary or other important milestones. 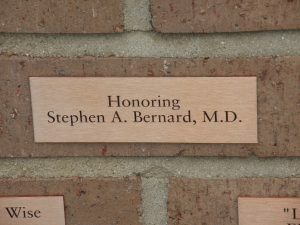 For just $1,000, you can craft a message that will forever be a part of the N.C. Cancer Hospital campus. Your tile purchase will help expand patient support services as well as critical programmatic, faculty and clinical research priorities in the hospital. Contact Cate Meno at (919) 962-8458 to learn more or purchase over the phone. Print this form and mail with payment to: UNC LCCC, CB#7295, Chapel Hill, NC 27599.